Of all the wonderful brands that we have at the showroom, The Rug Company has always been a firm favourite, and changing the rugs we use is a huge treat. 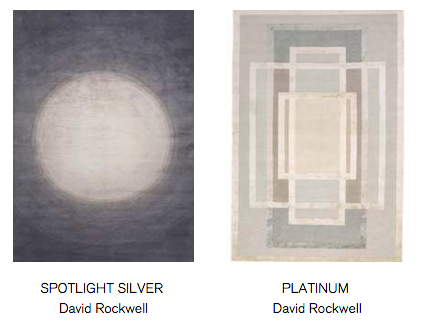 This season’s rug is the new Tidal design by renowned US architect David Rockwell for The Rug Company. It sums up the style of NW3 Interiors beautifully, marrying exquisite quality in the hand-knotted bamboo silk construction, with muted, achingly stylish abstract design, representing refracted and dappled sunlight. Our other favourites from the collection are the dramatic Spotlight Silver and Platinum designs, the latter reminding us of the angular coffee tables we love so much, such as our own Marc Krusin coffee table (available from us also). Contact Carly at 07773383530 or carly@nw3interiorsltd.com to order this, or any rug from the collection.